Transform Your Life and Break Free of Limitations for Lasting Happiness. If you are unhappy, struggling through one challenge after another, and feeling disconnected from everyone, you are not alone. Regardless of the reason,unhappiness can permeate every area of life if left unchecked. So is it possible to shift perspectives and live a life of happiness and peace? Engaging and practical, Moments presents simple steps to take ownership of your happiness, health, love, and prosperity, towards a greater level of self-awareness and success. Join Amy on a life-changing journey as she navigates the challenges of divorce, parenting, chronic Irritable Bowel Syndrome (IBS) and her father’s diagnosis of Lewy Body Dementia towards wellness and a fulfilling life. Using this remarkable book as your roadmap, learn how to gain greater empowerment and change your life to have lasting happiness. As an SVP of a leading technology company, highly sought after leadership mentor, keynote speaker and parent, Amy Van Atta Slater, through her insights on life, business, personal development, parenting and mindfulness, has inspired thousands of business professionals and creative thinkers to adjust, rethink and refocus in every field and walk of life. After graduating from the University of California at Berkeley, Amy soon became a noted leader in business, and 25 years later, she is consistently inspiring others towards greater levels of success. Motivating the masses with galvanizing speeches, Amy empowers others to build their brands and lead through the cultivation of culture. As a corporate strategy advisor and private executive mentor, Amy cultivates the development of core leadership skills combined with compassion, mindfulness and authenticity. 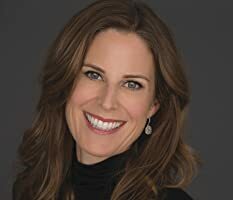 Her unique approach to leadership development has garnered Amy coveted keynote speaking opportunities, such as the 2014 Forrester Research Convention, as a panelist at the Domo Women in Business Tour and as a featured speaker at the 2016 Apttus Accelerate conference in San Francisco. "Passionate about her responsibilities as a parent, Amy brings her message home modeling resilience, strength, authenticity, compassion and gratitude for her three daughters."